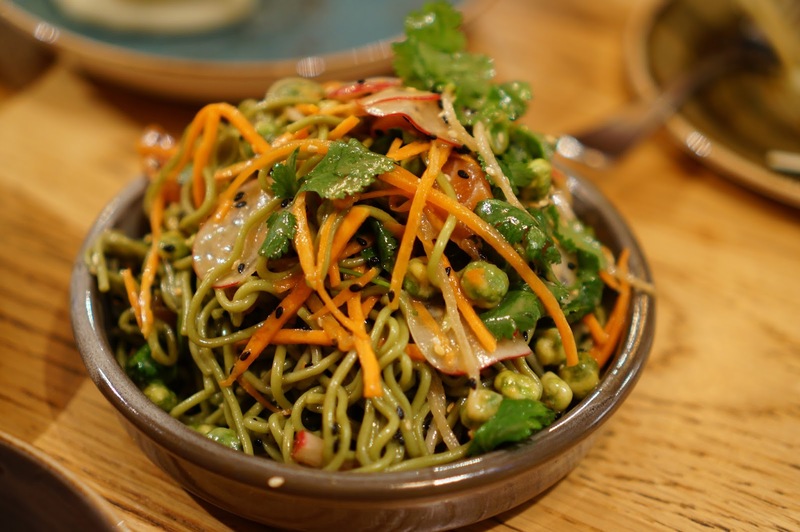 Charlie Dumpling lives in Prahran, near a lot of other asian fusion restaurants, but you will notice that on most nights, it is always packed. Experiencing the food makes you realise why, as the creators of this asian-fusion have hit all the right buttons in your taste console. 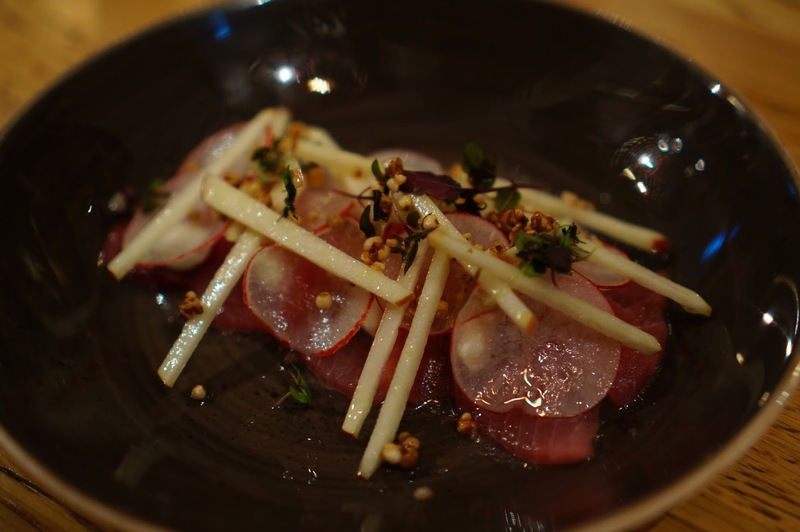 The Yellowfin tuna sashimi, pink lady apple, radish, goats cheese, white soy ($19.0) was very fresh, and being a fan of puffed brown rice, it was a nice way to bring crackle to the dish. The sweet apple pieces combined with smooth goat’s cheese really completed the dish. I’d definitely order this again. 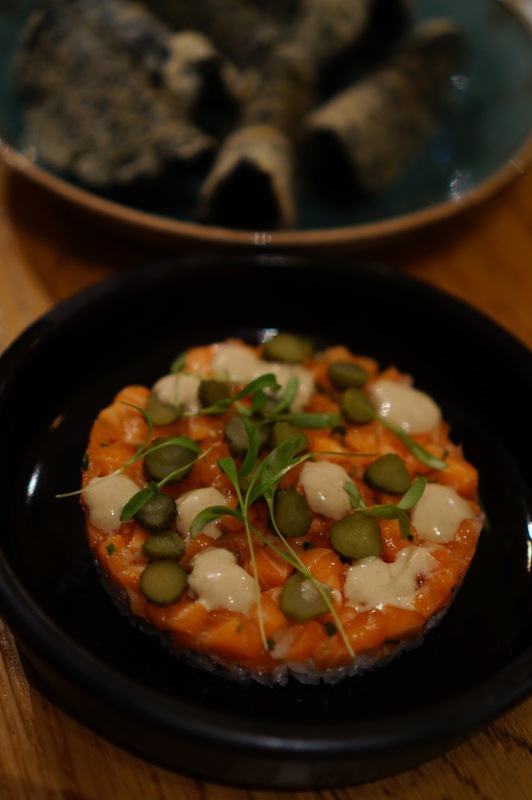 ‘The Chimichanga’ Ora King Salmon Tartare, nori taco, bonito, pickles, seasoned rice ($18.0) was a fantastic choice, an asian spin on a mexican classic. 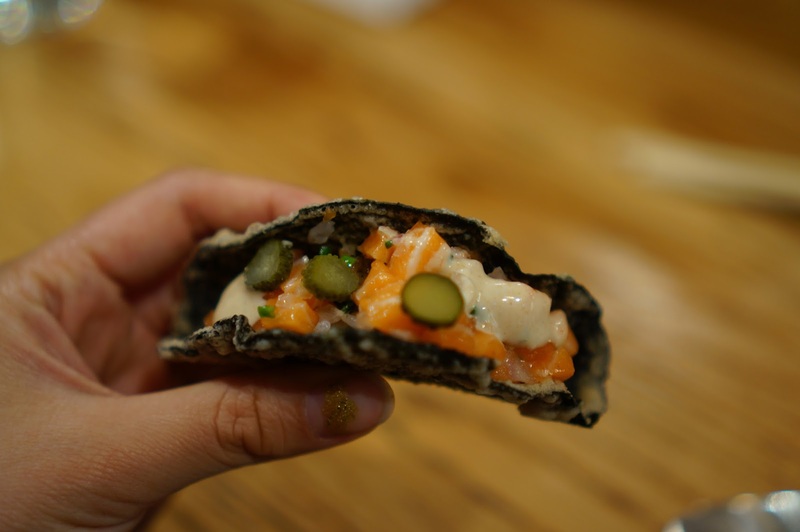 The staff were lovely enough to give us an extra few nori tacos, but the serving was quite small as they didn’t increase the size of the actual fillings. The salmon was tasty and obviously went really well with the dill pickle and flavoured spicy rice. The taco shell didn’t actually taste that great on it’s own, but it did look appealing with its battered layer. 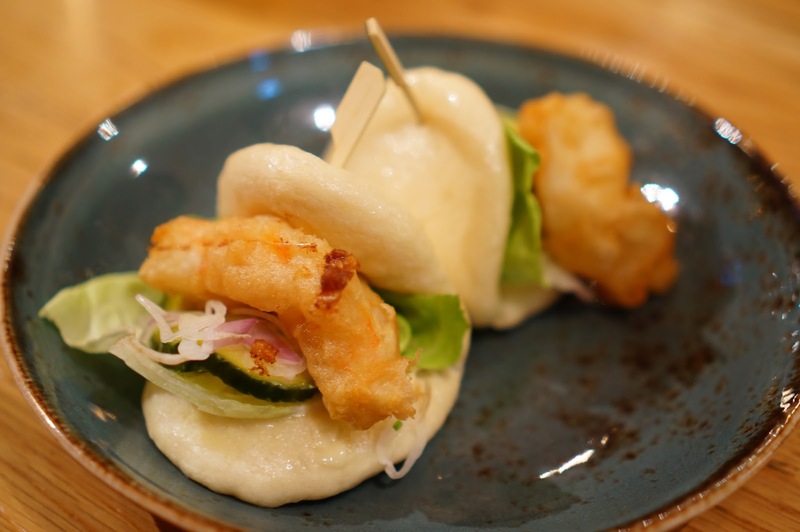 ‘Cos we’re Ballers, we ordered the most expensive bao on the menu, the Crispy Prawn Bao, cucumber, shallot, kewpie, lettuce ($10.0 each) which was ok I guess, but truly nothing special. The prawn was fried in a crispy batter, which was nice, but there wasn’t a lot of kewpie mayo or anything that made it appealing. I’d skip this for better options on the menu. 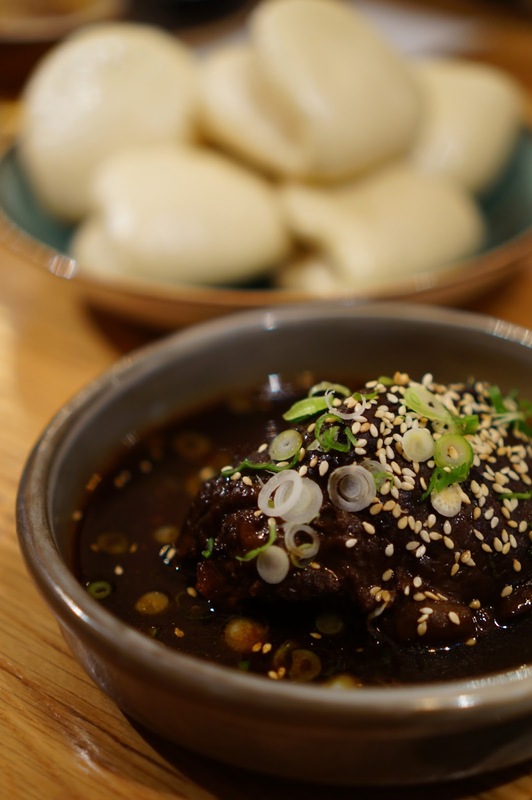 The Cola braised beef cheek, jalapeño orange salad, pickles and steamed buns ($26.0) was a tender pile of beef which pulled apart easily and as we stuffed the bao buns with the radish pickle salad, our mouths definitely started watering. 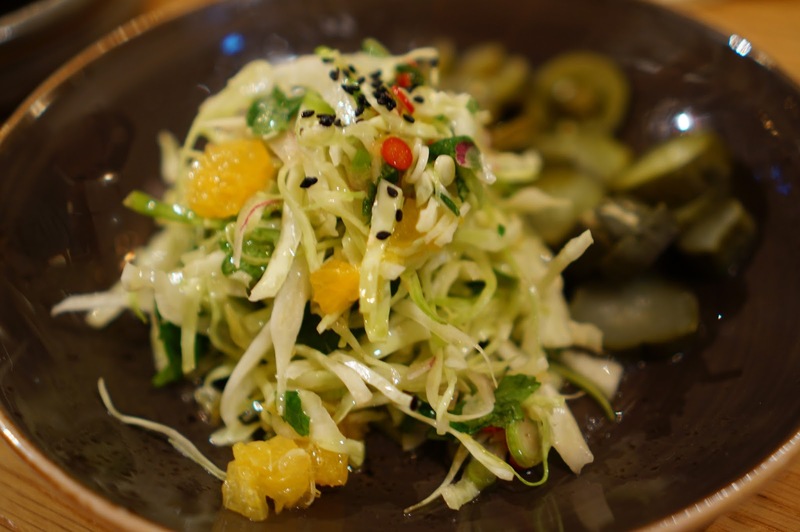 The pieces of chilli and orange mixed through brought even more flavours to the dish. Kuromitsu salmon, green tea soba noodles, radish, miso, wasabi peas ($16.0) I expected a lot more out of this dish; on paper it sounded easy to combine and enjoy, however I felt the soba noodles were too heavy for the salad, and the salmon in the dish was few and far between, and not that fresh. 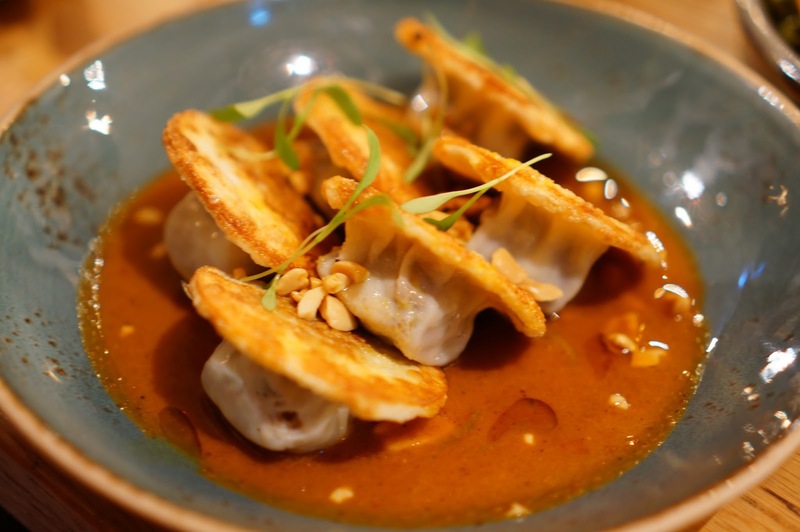 These Coconut braised Flinders Island Lamb gyoza, massaman and peanut curry ($14.0) were presented really well. They essentially looked like giant mushrooms, with a fried disk sitting on top of the dumpling. 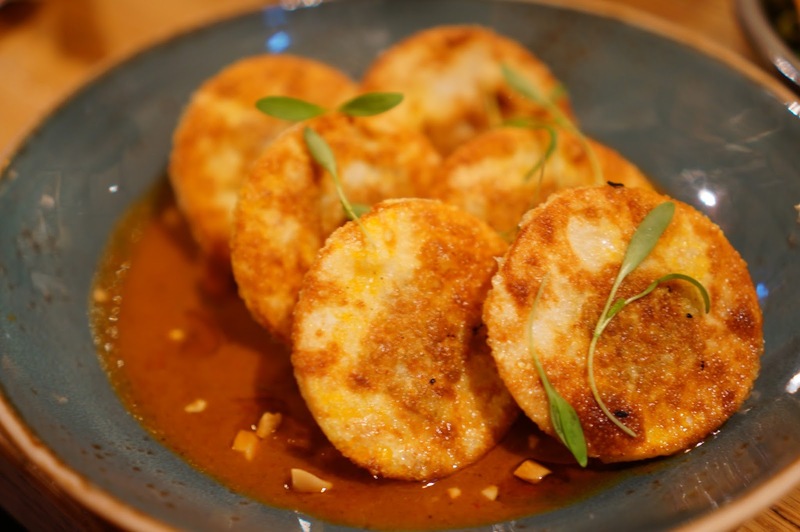 However, the filling didn’t really appeal to me – it tasted quite dry and overcooked and the peanut sauce ended up having most of the flavour. ‘Burrawong Gaian’ Peking Duck Dumplings, burnt mandarin and Sichuan caramel ($14.0) were the best dumpling out of the trio we picked. They had a nice tasty filling which was moist and had a nice accompanying sweet sauce. 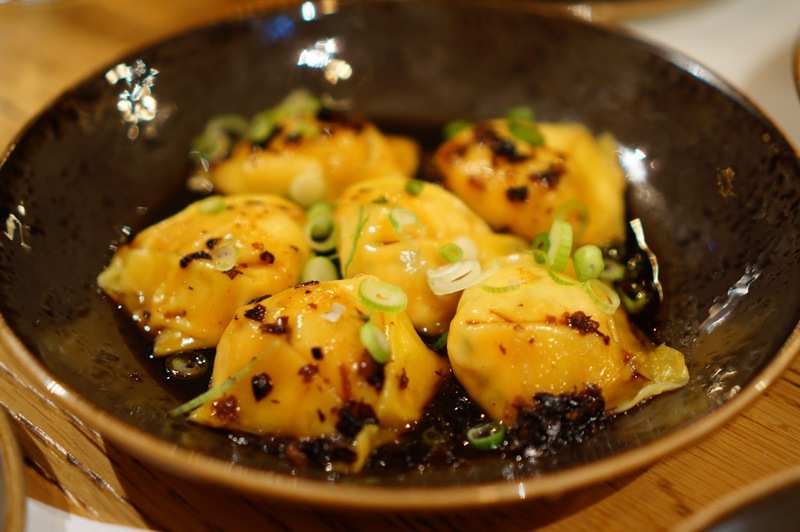 Finally, the Snapper, chilli, lime and blackbean savoury dumplings ($13.50) had quite a lot of filling inside, and the skin wasn’t too thick or sticky. 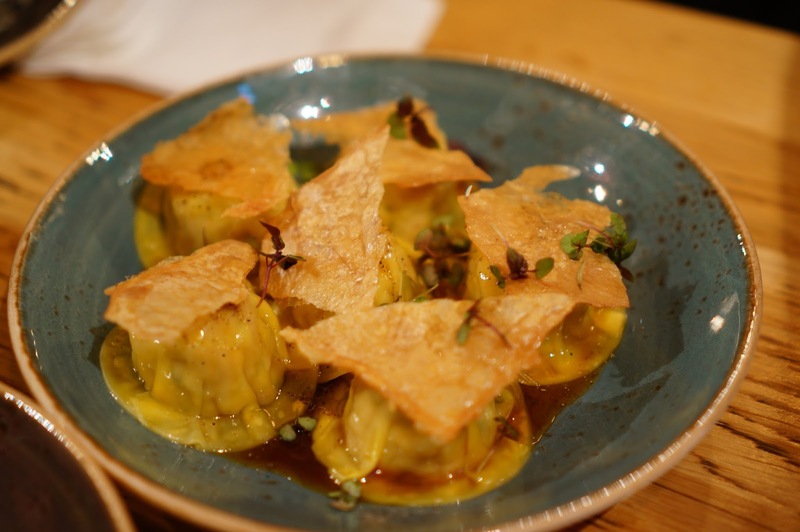 However, given the price, and the fact the snapper didn’t really burst with flavour like most (cheaper) typical dumplings, I wouldn’t be in a rush to order these. I first got introduced into these neat little morsels at the Street Feud last year, and in fact, due to my vote (and others) it won them the competition. 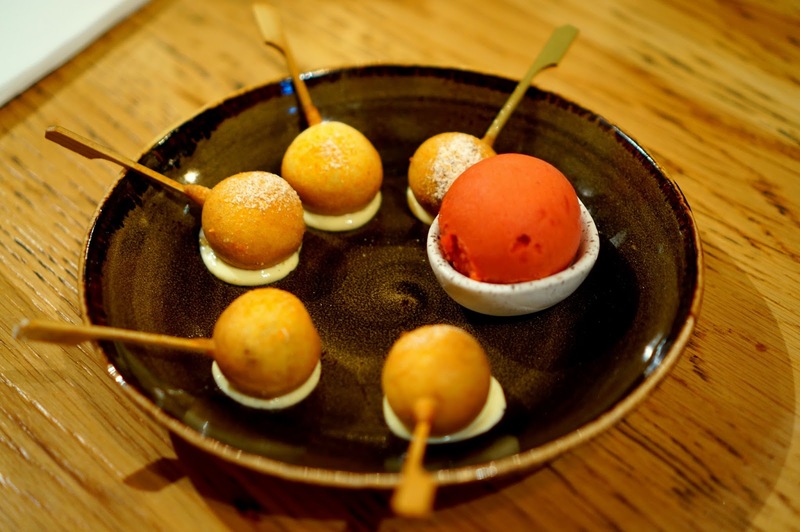 Milk chocolate dumplings with raspberry-chilli sorbet ($13.50) are deep fried dumplings which burst apart to release a smooth milk chocolate ganache filling inside. The tart raspberry-chilli sorbet has a peppery aftertaste and is an interesting combination to the chocolate. I really expected myself to not enjoy these Coconut and lime mochi, poached pears, salted caramel ($13.5) however, they are pretty great. 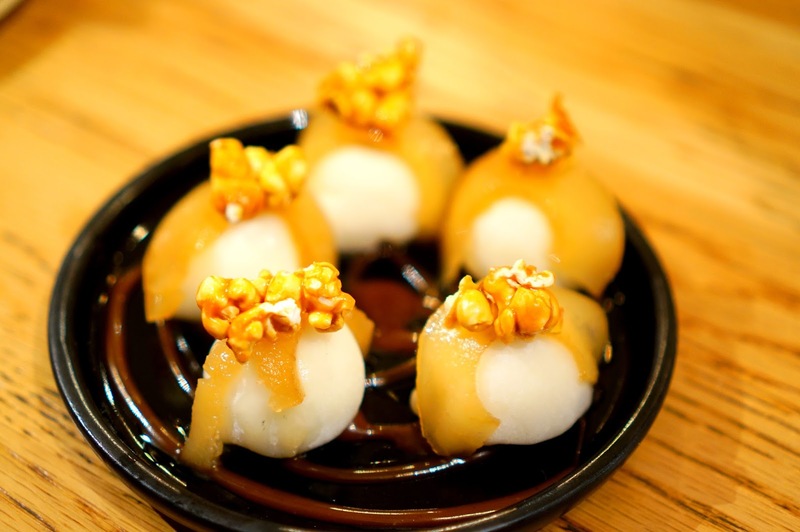 The soft, squishy mochi skins encase a cold coconut and lime ice-cream, with generous swirls of salted caramel and sweet poached pears. ‘Hazelnut jaffa’ Callebaut chocolate bombe, mandarin sorbet, toasted rice ($14.0) was probably my least favourite out of three great desserts. 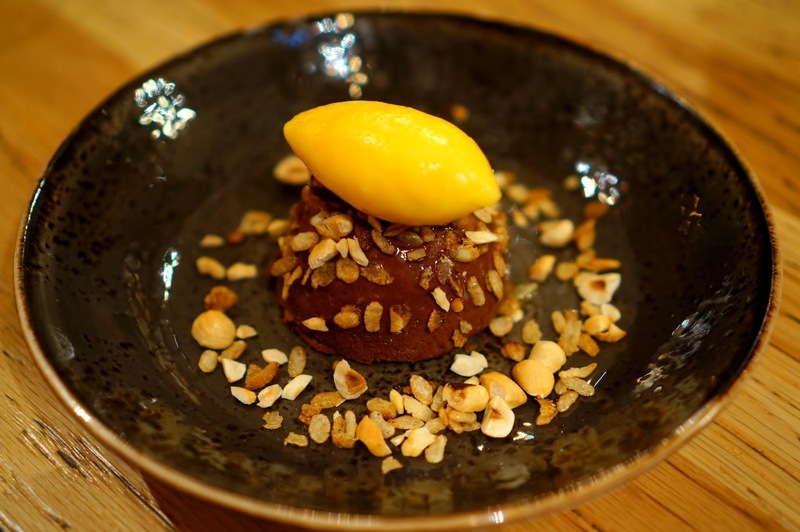 I think compared to the others, this was just too plain for my liking, the chocolate bombe was smooth and very rich, and the mandarin sorbet very sour. The toasted rice didn’t particularly add much apart from texture, but I’m not complaining. TL;DR I quite like this asian-fusion dumpling place, though the serves are small and it is very pricey.